Membership is your chance to support us while enjoying free or discounted entry to more than 800 hundred properties and gardens throughout New South Wales, Australia and overseas. Already have a membership? Renew your membership online, it's quick and easy. The perfect gift for those wanting to support and enjoy our heritage. Are you fascinated by the history of places, artifacts and the stories of our past? Do you enjoy discovering gardens and natural landscapes with special significance? Are cultural experiences in Australia and around the world important to you? 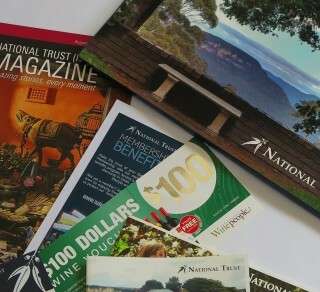 Membership with the National Trust (NSW) provides you with free or discounted access to all of this and so much more. 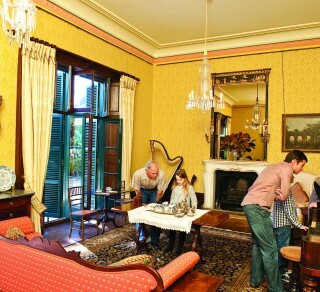 The National Trust (NSW) is a registered charity and part of our mission is to provide guardianship and act as an advocate for the protection of our built, natural and cultural heritage. By becoming a member, you are actively contributing to make a difference. There is a membership package for everyone – whether you are joining as a family, an eager student of culture and history, or supporting us as an individual. Please find our categories and rates outlined below. (Two adults and up to 4 children under the age of 18. (Two adults aged over 60 and up to 4 children under the age of 18. (Two concession card holders and up to 4 children under the age of 18. Joining fee of $35 applies to new memberships (payable first year only). Members’ only events and free or reduced entry to 800 heritage places affiliated with the National Trust worldwide. News on heritage events and exhibitions, advocacy and travel opportunities through our FREE monthly eNews and NSW National Trust Magazine. Special retail, event entry and promotional offers.